Conceptual project of an abstract architecture and its interior, serving as a wellness area. Extraordinary, futuristic shapes appear almost everywhere, creating passages and smoothly dividing space into smaller areas. Place is filled with subtle lighting located inside and out of the building. Visitors can enjoy the peaceful surroundings, organise yoga or meditation classess and just relax, forgetting about all the stressful matters. 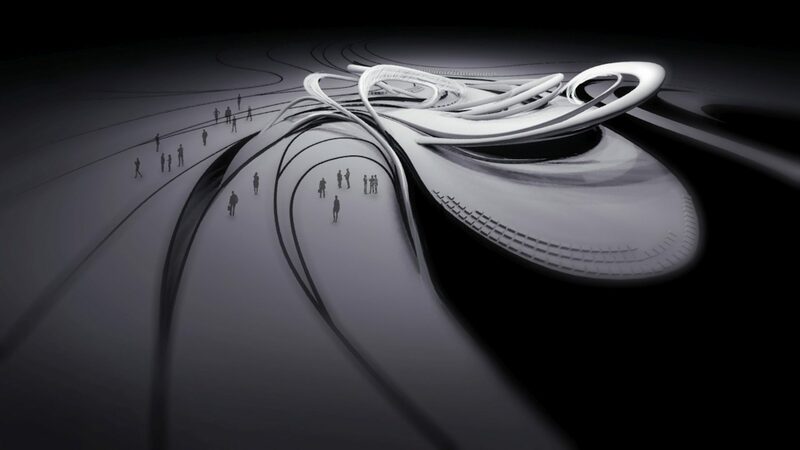 Object consists of a few swimming pools and meditation capsules, filled with inner lighting.